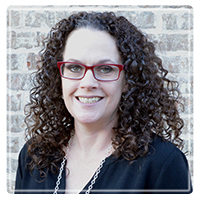 Frisco Therapist: Christy Findlay - Therapist 75034. I am here to help you experience healthy change in your life through talk therapy. I can help you learn to have a more positive outlook, develop healthy coping skills, deal with stress management, and cope with anxiety, depression and addiction. Connecting with someone in a safe, non-judgmental environment will help you process any event that you may be presenting with. I am a Licensed Professional Counselor Intern, with a Master's of Science in Clinical Mental Health Counseling and a National Certified Counselor. I have experience working with survivors of sexual abuse, PTSD, depression, affairs, couples, individuals and adolescents. I am married with four children and two grandchildren. I enjoy reading, cooking, and entertaining family and friends. The benefits of engaging in therapy include; improved communication in relationships, overcoming depression and anxiety, more self-confidence, decreased anger, and overall increase in mental health. Helping clients reach their full potential is my goal. Whether it is couples or individual counseling, an improved quality of life is key. The different therapies that I utilize are; Talk Therapy, Cognitive Behavioral Therapy (CBT), Trauma Focused Cognitive Behavioral Therapy (TF-CBT), Family Therapy and Couples Therapy. My areas of specialization include Anxiety and Depression, Trauma/Abuse/PTSD, Relationship Issues, Substance Abuse, Parenting Issues, Stress and Lifestyle Management, Grief and Bereavement, and Phase of Life Transitions. I empower couples and individuals to overcome the obstacles holding them back from happy, healthy lives. I am passionate about helping my clients reach their goals in therapy. I have evening and weekend appointments available. At this time I do not take insurance, please call for pricing information.